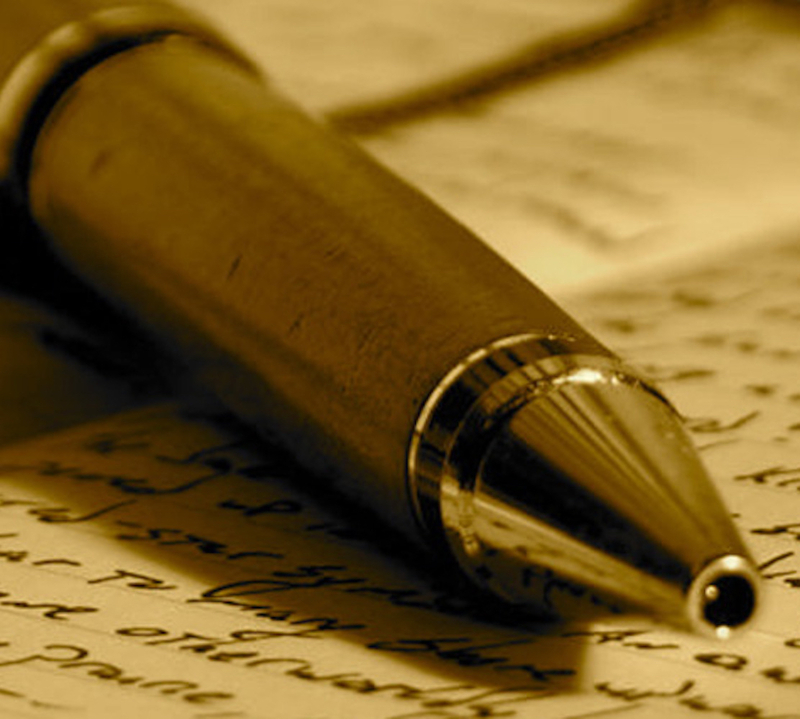 I was surprised because Tuesday is – correction, was – the “quiet” night. Every other dedicated to traditional Irish music, with the added attraction of the Cork Singers Club upstairs on a Sunday. 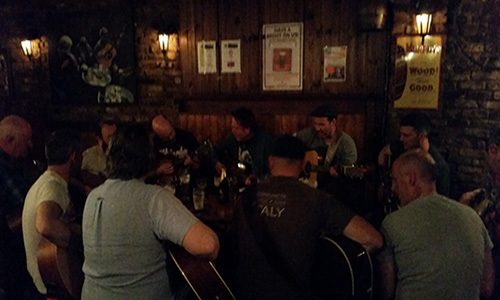 The lady behind the bar that night, whose face is before me as I write but whose name unforgivably escapes me, mentioned that it was the White Horse Guitar Club‘s first appearance in An Spailpín and that the hope was to make them a regular part of the schedule. I’ve been told that Tuesday nights are now theirs. I counted eleven guitars that first night. They hail from Ballincollig (think White Horse Bar) and their Facebook page lists their genre as Americana/Folk, with a particular emphasis on the music of Kentucky and Tennessee where the Scots Irish roots are a strong influence. An Spailpín is a warm, welcoming place with dark wood, old tin product and road signs, high-backed benches and square stools, votives on the tables, two gas fireplaces, and that lovely low lighting that makes even the sorriest of us look presentable. The bar staff are friendly and quick to commit your drink to memory, the faces of the regulars soon become familiar, even to a leaky recall such as mine, and the Murphy’s is as it should be. The music officially starts at 9:30pm but often kicks off a little later. Trad nights can vary from comparatively quiet to moderately loud depending on the musicians that show up and the instruments they bring, but the result is always good and sometimes great. 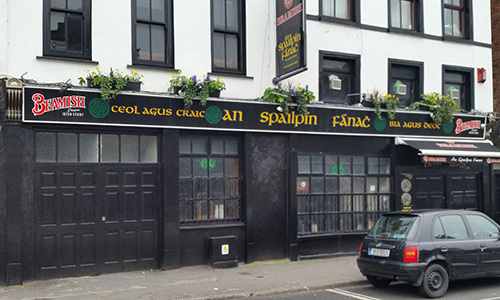 As with most pubs in Cork, An Spailpín is typically busier on a Friday or Saturday night. I always try to get there on Tuesdays; I sometimes make a Sunday. There are many more from Van Zandt, Willie Nelson and others.